The entertaining companion to the "Bible" by the bestselling author of "Brush Up Your Shakespeare. ""An excellent Bible-reading companion." 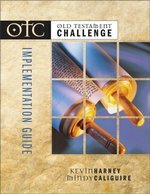 "--Booklist"
The 'Old Testament Challenge' (OTC) is a 32-week series designed for churches to teach, study, and discuss the entire Old Testament over a nine-month period. The goal of OTC is to discover the life-changing truths of the Old Testament and how we can apply them to our lives today. 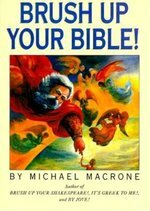 DISCOVER THE BOOK GOD WROTE OP!!! Stop and think about it: God is the author of the best-selling book in the world—the Bible. This alone should make you want to study its significance and relevance to your life. "Discover the Book God Wrote" will familiarize readers with the teachings of Jesus, the manifestations of the Holy Spirit, and the divine character of God the Father. It will raise a greater awareness of who God is and how people can know him intimately. This readable, affordable, and faith-friendly introduction to the Bible aids students as they engage in their first informed reading of the biblical text in an academic setting. The authors, who have significant undergraduate teaching experience, approach the Christian Scriptures from historical, literary, and theological perspectives. The book is designed for a one-semester course and is meant to be read alongside the biblical text, enabling students to become educated readers of the Bible. 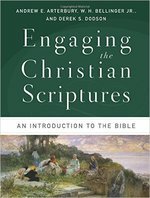 In the process, it introduces critical perspectives and approaches without undermining the theological claims found in the Christian Scriptures. The book includes text boxes, illustrations, maps, and suggestions for further reading. A test bank for professors is available through Baker Academic's Textbook eSources. For many Christians, the Bible is a how-to manual filled with literal truths about belief that must be strictly followed. But the Bible is not static, Peter Enns argues. It does not hold easy answers to the perplexing questions and issues that confront us in our daily lives. Rather, the Bible is a dynamic instrument for study that not only offers an abundance of insights but provokes us to find our own answers to spiritual questions, cultivating God's wisdom within us. "The Bible becomes a confusing mess when we expect it to function as a rulebook for faith. But when we allow the Bible to determine our expectations, we see that Wisdom, not answers, is the Bible's true subject matter," writes Enns. This distinction, he points out, is important because when we come to the Bible expecting it to be a textbook intended by God to give us unwavering certainty about our faith, we are actually creating problems for ourselves. The Bible, in other words, really isn't the problem; having the wrong expectation is what interferes with our reading. How the Bible Actually Works makes clear that there is no one right way to read the Bible. Moving us beyond the damaging idea that "being right" is the most important measure of faith, Enns's freeing approach to Bible study helps us to instead focus on pursuing enlightenment and building our relationship with God--which is exactly what the Bible was designed to do. In 13 chapters, David Ewert shares guidelines on studying the Scriptures. He explains literary forms, idioms, and figures of speech from ancient cultures for today's readers. 244 pages. 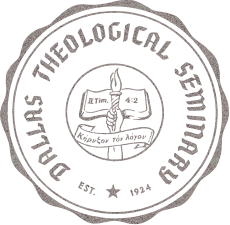 Understanding that's visual! Well-known New Testament scholar Robert W. Yarbrough brings to life God's trusted communication to humanity by walking through the twenty-seven books that make up the New Testament. From Matthew to Revelation, the New Testament portrays Christ as both servant and Lord, fulfilling the Old Testament promises. Loaded with four-color charts, maps, photographs, and illustrations, this concise guide to the New Testament is perfect for personal study or classroom use. This fully illustrated color book on the Bible and its context answers such intriguing questions as: How do the books of the Bible relate to one another? What was Jewish worship like? What did the tabernacle and temple look like? What were the Jewish festivals all about? Who were the main characters of the Old and New Testaments? The Kregel Pictorial Guide to the Bible gives readers a glimpse into the past by examining everything from Moses' exodus to Jesus' miracles. Topics are indexed for easy reference. Pairing sound research with illuminating illustrations, charts, and graphs, Michael Grisanti continues the valuable tradition of the Kregel Pictorial Guide series. In this installment, Grisanti offers a compelling overview of the Old Testament, looking at its importance as a collection of books, a description of God, a portrait of our place in His universe, and a useful tool for Christian living. This full-color introductory guide provides a graphic overview of how the Bible came to be--from God's original revelation to modern translations. Includes illustrations, charts, and graphs that explain how books were chosen to be part of the Bible and how God preserved his special revelation.